ASABA – The Uganda Cranes held the Nigerian Super Eagles to a goalless draw in an international friendly on Tuesday evening. In the game played at the Stephen Keshi Stadium in Asaba, both sides that have already qualified for the 2019 AFCON finals, created several goal scoring opportunities but neither not win it some how. 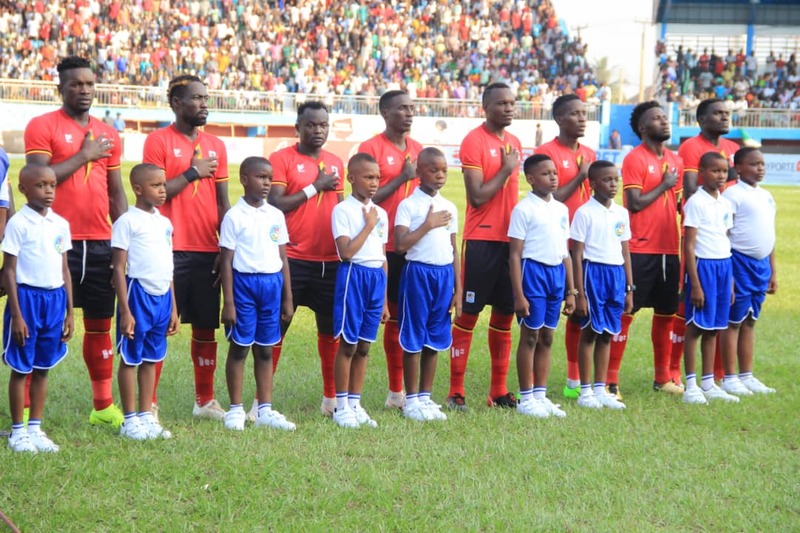 Cranes tactician, Sebastian Desabre made several alterations to the side that defeated Cape Verde 1-0 on Saturday in Namboole. Woth several starters left at home, only five players who started the game on Saturday, featured from kick-off in Asaba, these being Nicholas Wadada, Godfrey Walusimbi, Denis Iguma, Khalid Aucho and Moses Waiswa. Salim Jamal deputized for team Captain-Denis Onyango in-between the sticks with Iguma partnering KCCA’s Timothy Awanyi at Center-back. With Iguma at the back, Vipers’ Tadeo Lwanga was given duty in the anchoring rule alongside Aucho, both playing behind Waiswa. 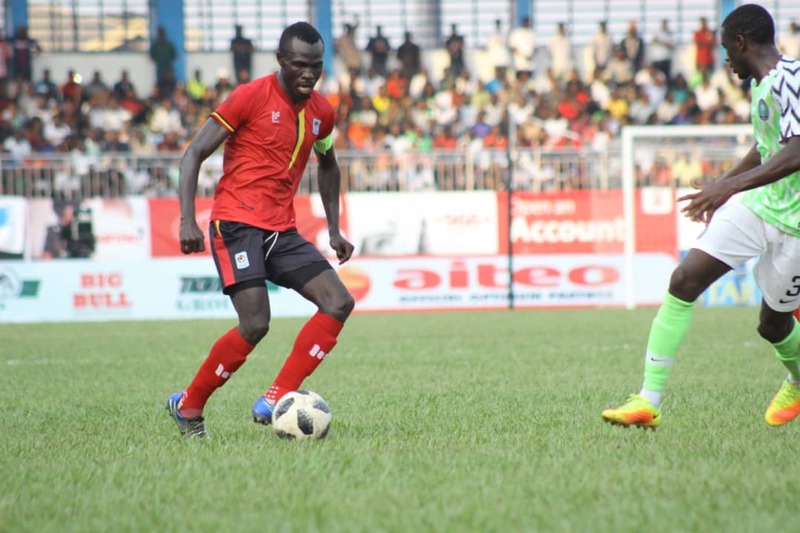 The day’s captain Emmanuel Okwi who was returning from suspension that ruled him out of Saturday’s win, played alongside Allan Kyambadde and Egyptian based Derrick Nsibambi in attack. The Cranes were denied a first half penalty when Jamilu Collins brought down Kyambadde but the referee decided to wave play on, much to the disgust of the players and technical staff. The Cranes who were struggling in terms of possession continued to create some decent chances as Nsibambi volleyed wide inside the goal area in what was a great opportunity for Uganda to take the lead. Captain Emmanuel Arnold Okwi and Moses Waiswa also attempted at the Nigerian goal in vain. Nigeria’s Ahmed Musa, Alex Iwobi and towering John Ogu were kept under check by the Ugandan defence. Later in the second half, the technical team introduced Ibrahim Sadam Juma, Patrick Henry Kaddu, Allan Kateregga and Milton Karisa for Tadeo Lwanga, Derrick Nsibambi, Allan Kyambadde and Moses Waiswa respectively. The draw means that Uganda has now not lost to Nigeria in their last two games. The Cranes defeated the Super Eagles 1-0 in 2015, the last time both sides met before Tuesday. The Cranes next fixture will see them away to Tanzania in their last game in the 2019 AFCON Qualifiers. Salim Jamal (G.K), Nico Wakiro Wadada, Godfrey Walusimbi, Dennis Iguma, Timothy Denis Awanyi, Khalid Aucho, Tadeo Lwanga, Emmanuel Arnold Okwi, Moses Waiswa, Allan Kyambadde, Derrick Nsibambi.